Multiple Number of Band; 4,6,8 bands available. 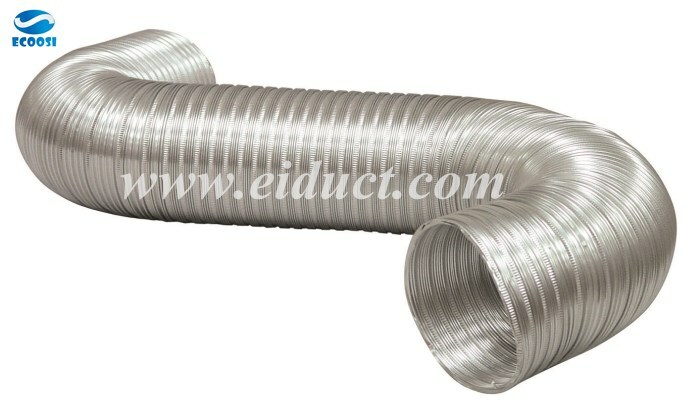 Ecoosi flexible ducting hose---Aluminum semi-rigid flexible duct was made by 100% pure aluminum. 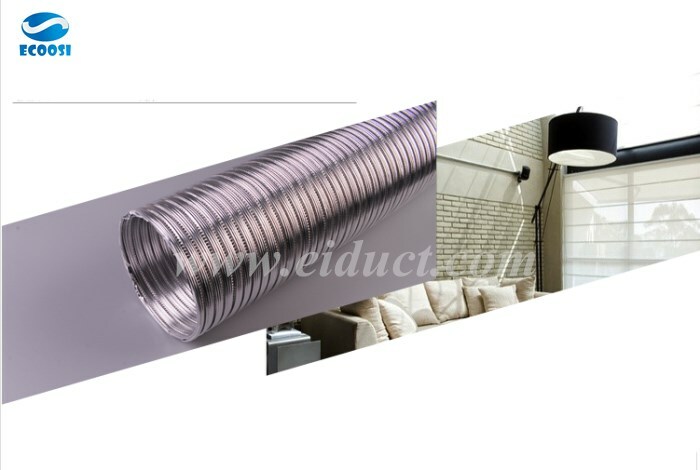 Our semi-rigid air duct have both industrial and residential functions. 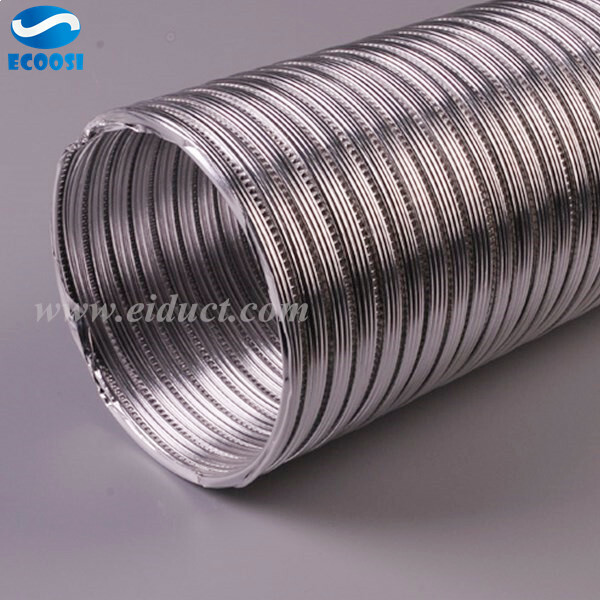 Firstly, they can be used in factory workshop, warehouse, greenhouse and architecture construction to emit smoke and heat. Secondly, it can be used in kitchens, bathrooms and washrooms of highly intensive residance to refresh the air. 1, Easy truncation: it's easy to cut to wanted size to fit in your project, which improves the efficiency of construction and reduces unnecessary waste of material. 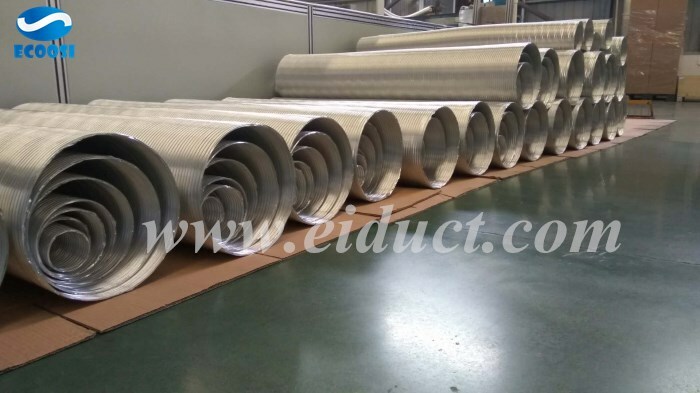 2, Multi-directional Bendability：Because of the characteristics of unnatural contraction after bending, it can be used as the flexible elbow in different circumstance. 4, Durability: it can revert to a previous state in spite of too many extensions. 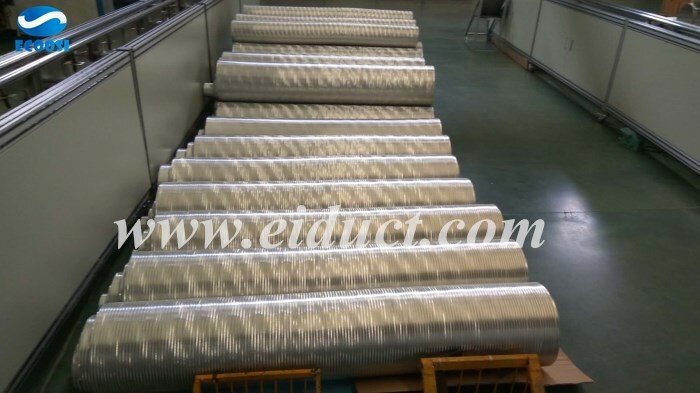 5, Leakproofness: After a series of strict anti-leakage testings, it's ensured that anyair and lampback would not leak outside. 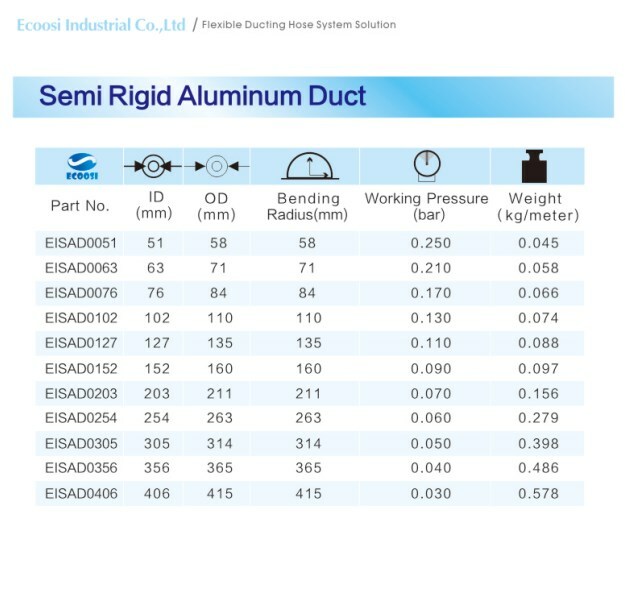 6, Sturdy Seaming， After a 72-hour and 15 kg tension test, the seaming remains the same owing to the double stacked seaming. 8, Multicolor flocking machinery coating：It can helps to decrease the loss of heat during which vent delivers hot winds. Also scald is partly avoided. 9, Multiple Number of Band:4,6,8 bands available.